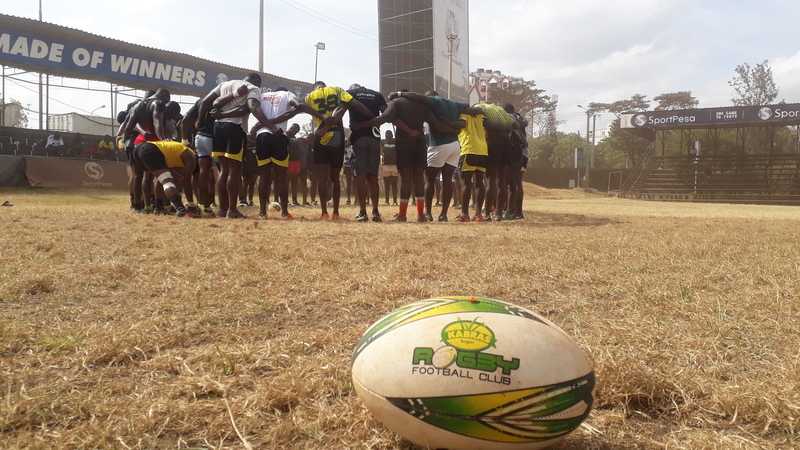 Kabras Sugar held their captain’s run at RFUEA Grounds on Friday ahead of their Kenya Cup tie against hosts Kenya Harlequin, Sat Feb 9. Head Coach Henly Du Plessis said they are all ready for the clash that promises to be a thriller. Unbeaten Kabras versus in-form Kenya Harlequin. Couple of changes made by Plessis for Saturday’s game seeing loose-head Hosea Ngesa come in for Ephraim Oduor who drops to the bench, flanker Dan Sikuta return in place of Charlton Mokua while Kevin Keegan starts on the blind wing to see Fabian Olando also settle for a place on the bench. “We’ve made a few changes on the squad for tomorrow especially taking into account what we need to do for this game and what our strengths and weaknesses are,” Du Plessis said at RFUEA. “We’ve brought Keegan on the wing. He will bring some pace for us on the outside and also we brought Ngesa who has impressed a lot in the last couple of matches”. As Kabras lead with 40 points, Quins are third with 31 points with a win for the home side set to see defending champions KCB close the five-point gap may them beat Strathmore Leos in Madaraka. “Set-pieces is one area we are looking. For the first time this year we are going for the formation of 5-3 where we have five forwards on the bench and three backs”. Du Plessis praised fly-half Logan Basson who has had a fine start to the Kenya Cup since arriving from South Africa. He is seen by many as the brain of Kabras this season. Quins are now coached by former Kabras Sugar head coach Charles Cardovillis and the likes of Dominic Osino and Aluda Beda followed him to Quins. Nick Baraza’s proposed move to Quins did not materialize. Felix Ayange and Kevin Keegan joined Kabras from Quins but it’s only the latter who gets a starting slot. The match kicks-off at 4pm LIVE on Bamba Sport.